Maldives Whale Shark Festival at South Ari Atoll. The whale shark festival which is held annually in the Maldives will be held on Dhidhoo Island at South Ari Atoll for the third year. Organized by the Maldives Whale Shark Research Program (MWSRP) and local artists, this year’s festival is aimed to be better than the previous ones. The Whale Shark Festival 2015 will consist of creative workshops, collaborations & art works by community members that represents the island culture, and celebration of South Ari Atoll’s marine diversity and the Marine Protected Area (S.A.MPA). The activities include; a mini-conference called ‘SienceFEST, which will be held on August 28th for teachers, marine biologists and community leaders. Afterwards, the group will travel to the pristine island of Dhidhoo for the main event on 29th of August. Moreover, entertainment such as; Maldivian music, and stories from local island of South Ari Atoll, will be provided for local and international visitors. In addition to that, the most noteworthy activity that will take place in the third annual Whale Shark Festival, will be the creation of a large scale kinetic whale shark sculpture by each participating island. Under the guidance of professional artists such as Nadee Rachey, the sculpture will be made using recycled materials, giving artists & marine biologists the opportunity to learn and discover as well as making conservation and raising awareness they key reason of the Festival. The 2015 Whale Shark Festival in the Sunny Side of Life has been created with support from Artist Sponsor LUX* Maldives, and Festival Partners; Allied Insurance, Visit Maldives, Mirihi Resort, Carpe Diem and Flyme, Hydration Partner; 100 plus, Print Partner; Novelty Printers, Online Partner; Maldives.com, Design Partner; Emau Saleem, Audio-Visual Partner; DOAV, and Festival Friends; Friends of the Sea, Voyages Maldives, We Care Maldives, LaMER and Cyprea Pvt Ltd. Here in the island nation of Maldives, Whale Sharks are commonly found occupying the underwater world. 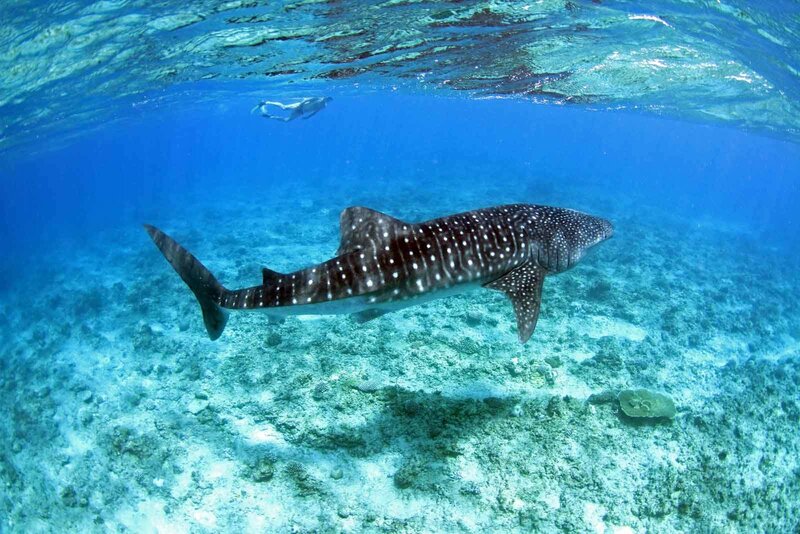 Island resorts provide the opportunity to go on a unique excursion of Whale Shark watching or scuba diving with these magnificent species is an activity loved by plenty of holiday travelers that visits the Maldives. To book a holiday in this tropical paradise and watch the conserved species in their natural habitat in the Indian Ocean, contact us at Travel Centre Maldives.